I missed the memo about Excedrin. The summer of 1999 was The Summer of Pain. As part of my orthodontic treatment plan, I had two teeth pulled. Then, about a week after the extractions, I wiped out on my bike and broke my arm. Then, the following week, the braces went on. All the while, there was a church group living in the residence hall I was then managing. They loved to sing and had a full drum kit set up about 15 feet from my bedroom wall. While the church group was singing about Jesus, I was talking to Jesus as my face and arm throbbed in time with the beat of their hymns. Between getting the teeth yanked, the broken arm, and the new braces, I was insufferably cranky from all the pain. 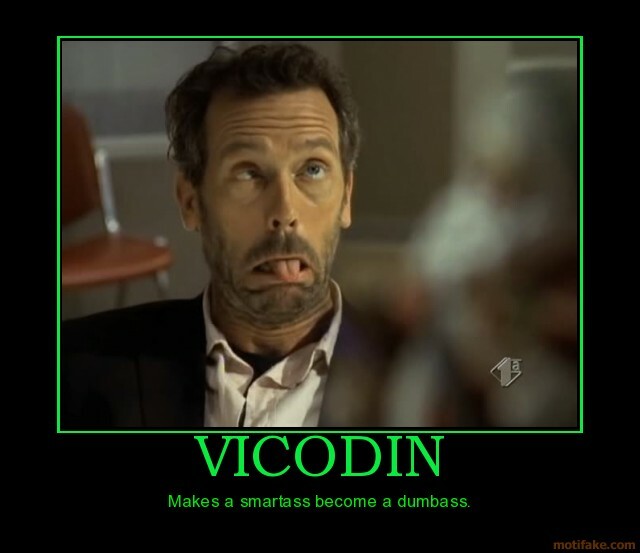 What made me even crankier is that I couldn’t take the Vicodin that my doctors prescribed. The resulting stomach ache was way worse than the other pain. For me, taking Vicodin wasn’t as fun as they make it look like on TV. I tried a few different over-the-counter pain relievers which offered no relief. Then finally, I tried Excedrin, and Bingo. I wasn’t pain-free, but I felt a lot better. I’m not sure why Excedrin works for me, but it does. And now, it’s my Panacea–headaches, muscle strains, whatever…if it hurts, I take Excedrin. The lessons I l learned from The Summer of Pain were simple, but important to me. First, trial and error is sometimes the best way to make a choice. I had to kiss a few pain reliever frogs before I found my pain relief prince. Second, never underestimate the placebo effect. 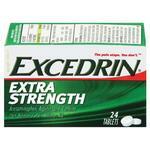 Excedrin isn’t magic, but I think I’ve invested it with some magical properties. Since it worked for me when I really needed it to work, I have confidence that it’s going to work every time I take it. The mind-body connection is trippy, ain’t it? Memo received. Ooh, I agree wholeheartedly. I LOVE Excedrin. It is the only thing that will work on my headaches. Truly a miracle drug! And how ’bout Excedrin PM? I’m a light and fitful sleeper so when have an headache in the evening, I actually get a teensy bit happy because I know when I take Excedrin PM, the headache will be gone and I’ll sleep great! I am right there with you on the vicodin, the one time I used it for the world’s worst ear ache I ended up in the ER with an IV in my arm from being so dehydrated from the flu-like symptoms the vicodin gave me. And people take that stuff for fun!